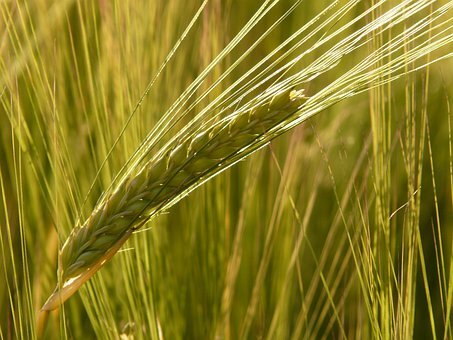 “A land of wheat, barley, grapes, figs and pomegranates, a land of olive oil and honey. This provides animal feed, an important element for human existence. In biblical Hebrew, the word for date palm is Tamar, a woman’s name evoking grace and elegance. The name is popular even today. 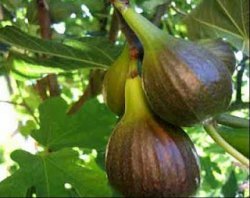 The fig tree is a Messianic tree and one of the first tree to bloom in February. It has this peculiarity that none of its leaves are the same, like the image of Israel, or the Torah, where every biblical verse can have a different explanation. THE POMEGRANATE is the symbole of Prosperity, Fertility and Beauty. It has many seeds. 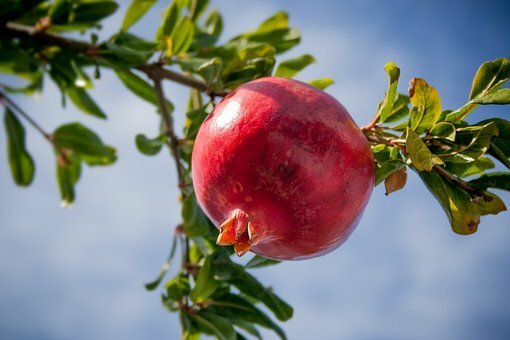 The children of Israël should feel inclined to perform as many good deed (Mitzvoth) as the number of seeds of the pomegranate. 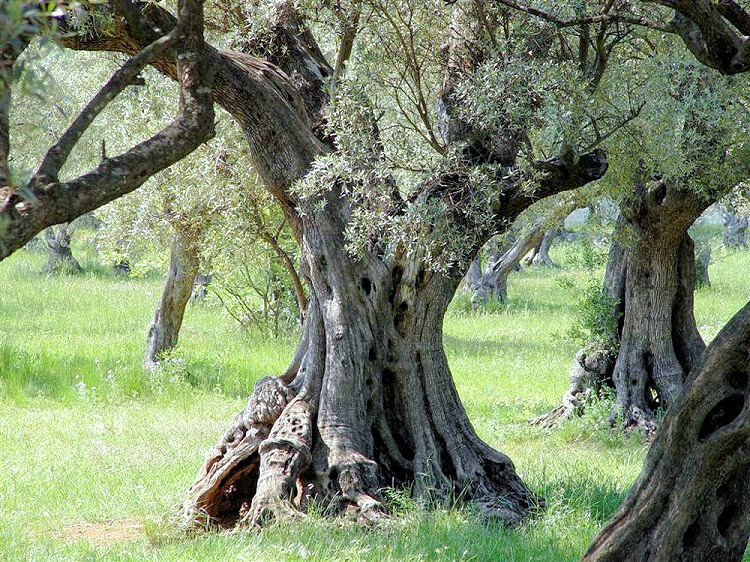 The OLIVE tree is the symbol of a Blessed and Happy family life. It is also that of Longevity, Hope and of Peace … and is reputedly to live forever. This entry was posted in barley, fig, fruits, grains, grapes, honey, land of Israel, Non classé, olives tree, palm dates trees, seven species, species, tamar, wheat, wine and tagged Bible, messianic, religion, Torah, tradition on 24 June 2017 by Nicole Samuel Israel Guide. There is a fascinating legend about the city called ”Saintes Maries de la Mer” in Provence, the southern part of France. Three Saints, Mary Magdalene, Mary Salome and Mary Jacobe, whose relics are the object of devotion for pilgrims in the ” Saintes Maries de la Mer”, were the first witnesses according to the Gospels of the resurrection of Jesus after his crucifixion in a place called Golgotha in the Old City of Jerusalem. They followed their Uncle Joseph of Arimathea by boat to Alexandria, Egypt. 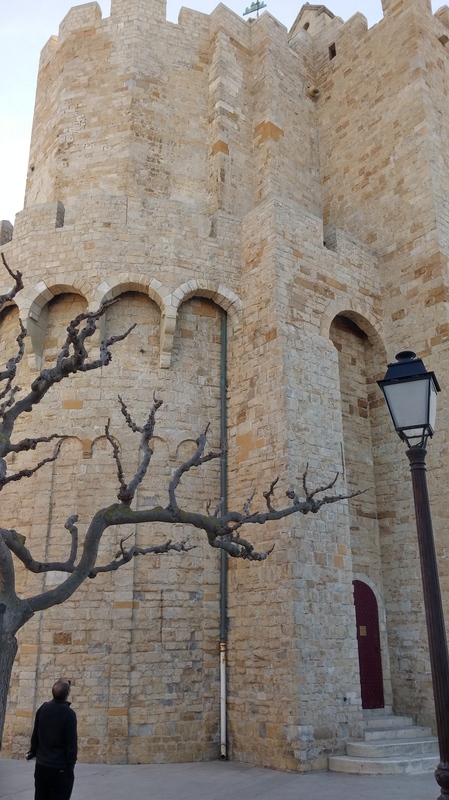 A French legend tells us about their drift that led them on this Mediterranean coast to a Fortress city called at the time ” Oppidum-Ra” and which became ”Saintes-Maries-de-la-Mer” in 1838. A beautiful church fortress, built in the Middle Ages at the heart of the city, reminds us of the dangers that were rampant in this region due to the impromptu arrival of pirates. It was a strategic retreat that allowed the population to shelter far from danger. This also explains the walls with slits and a fresh water well that is located inside it. When talking about the Camargue and the Saintes, there is always the image of the Gypsies that comes to our mind with their annual religious pilgrimage the last sunday in May, in honor of their landlady the Holy Sarah. A generous woman from the village who welcomed the three women warmly upon their arrival and offered them hospitality. 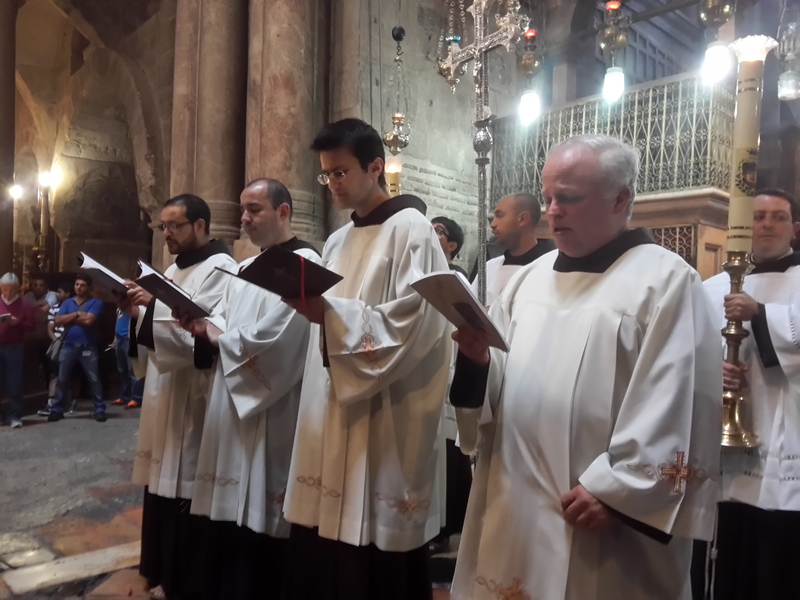 Several Mediterranean towns such as Arles, Les Baux de Provence, Marseille claim the privilege of hosting the Barque of the Holies Marys. The three Marys were buried together at the heart of the city where the medieval church was built. The tomb of Mary Magdalene can be seen in the Massif of the ”Sainte Baume” …. 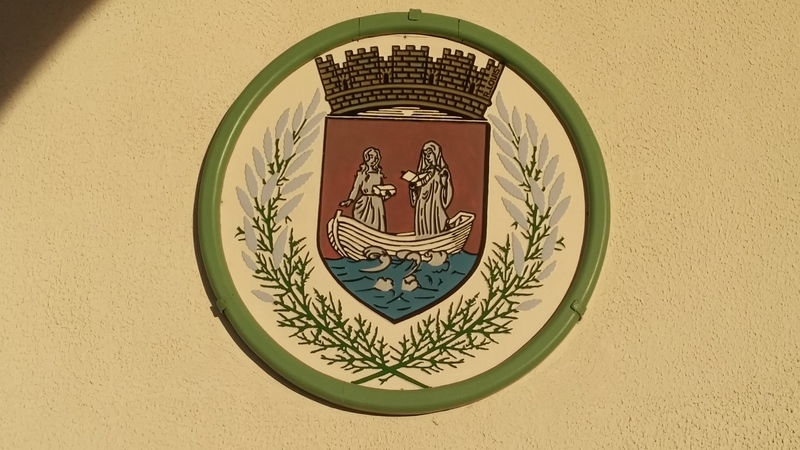 This entry was posted in Arles, Barque of the Holies Marys, Camargue, fortress, Golgotha, gospels, gyspsies, jerusalem, Joseph of Arimathea, legend, Les Beaux de Provence, Marseille, Martha, Mary Jacobe, Mary Madeleine, Mary Salome, Mediterranean coast, Middle ages, Non classé, Oppidum-Ra, Patron Saint, pirates, Resurection, Sainte Baume, Saintes Maries de la Mer, Sarah the Black, South of France, Tarasque de Tarascon and tagged christianism, faith, gospels, religion, spirituel, tradition on 9 February 2016 by Nicole Samuel Israel Guide. The architect Antonio Barluzzi (1884-1960) was born in Rome. 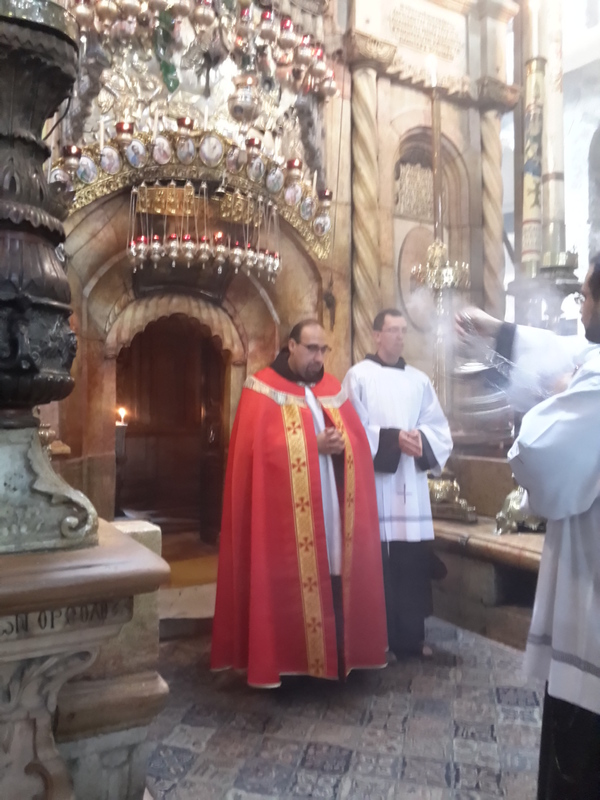 He devoted his life to the Holy Land and designed, on behalf of the Custody of the Holy Land, new Sanctuaries. the first one was at the foot of the Mount of olives called ‘Gethsemane’ meaning the Olive Oil Press. After that he created the ‘the Church of the Transfiguration’ on Mount Tabor, which was to be followed by many others works. Antonio Barluzzi was a strong believer. He conceived these religious sanctuaries to remind “the Mystery of Jesus’ life”, so that every pious visitor would be able to feel the serenity of this sacred place. After receiving the task of designing the new “Church of All Nations” in the Gethsemane project, which also included the design of the Sanctuary of Mount Tabor, Barluzzi adapted the project according to the discoveries that took place at the same time on the ruins of the Byzantine church of the fourth century. The basilica buit in 1924 was designed as a unique space. It contains only two rows of six columns, into which the light is filtered throughmidnight blue glazing, where thousands of stars are reminding Jesus’ Night of agony. The mosaics that decorate the apses are the illustrations of events that occurred on the next morning of the agony, the kiss of Judas and his arrest. 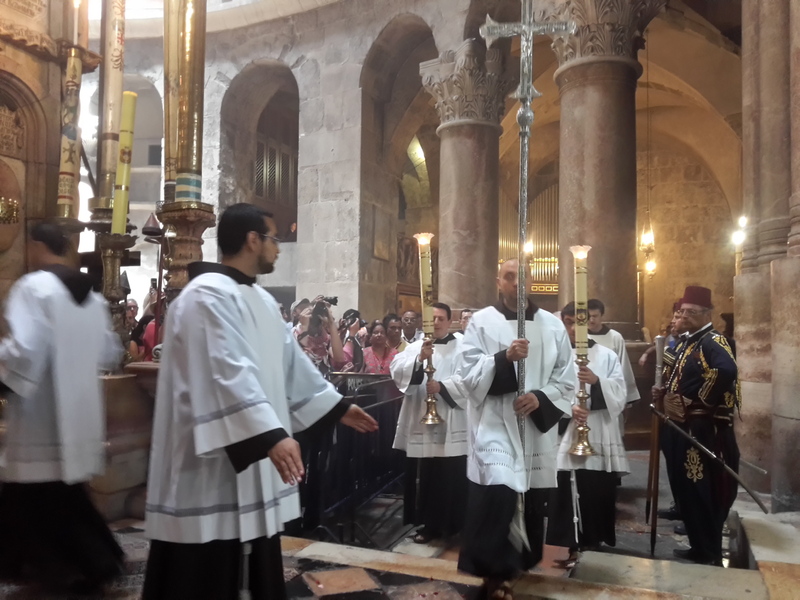 Everything has been designed to make this place for meditation and prayer and to lead to the most important element : the Stone, remembering the location where Jesus spent the night crying and praying, located near the ‘altar. Antonio Barluzzi was getting quite frustrated at not being known enough and left his mark by been represented on the vault of the dome to the right of the apse. Also in ‘the Church of the Visitation’ at ‘Ein Karem one can see the architecte been painted in one of the drawings inside the church. In 1960 began the construction of an even more remarkable church : the ‘Annunciation to Mary’ in Nazareth. Barluzzi died that year and did not have the opportunity to see this church built according to his plans. 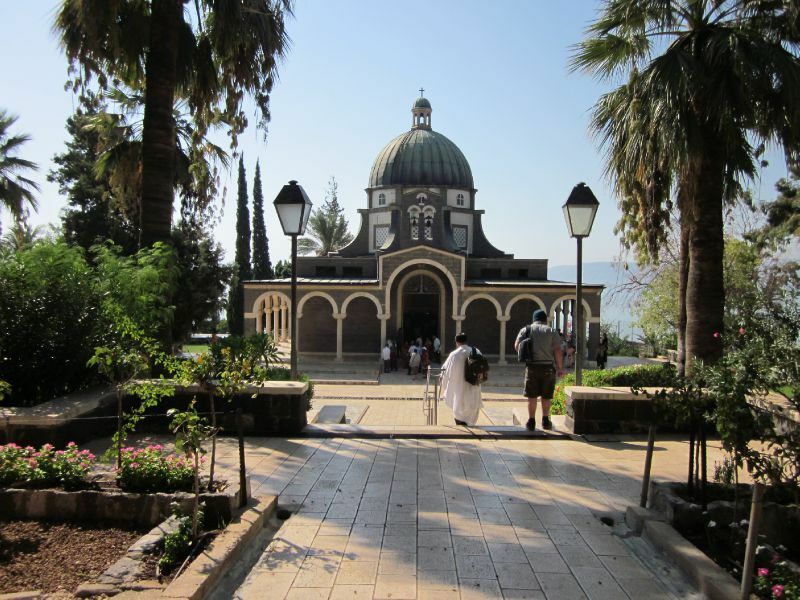 This entry was posted in agony, Antonio Barluzzi, architecture, basilica, building, Catholique, Christian, Chuch of the visitation, Church, Ein Kerem, Gethsemane, Italian architect, Mont of Beatitudes, Mont of Olives, Mont of the Transfiguration, Mont Tabor, Non classé, Olive press oil, Sermon of the Mount and tagged beleif, faith, religion, tradition on 15 December 2015 by Nicole Samuel Israel Guide. 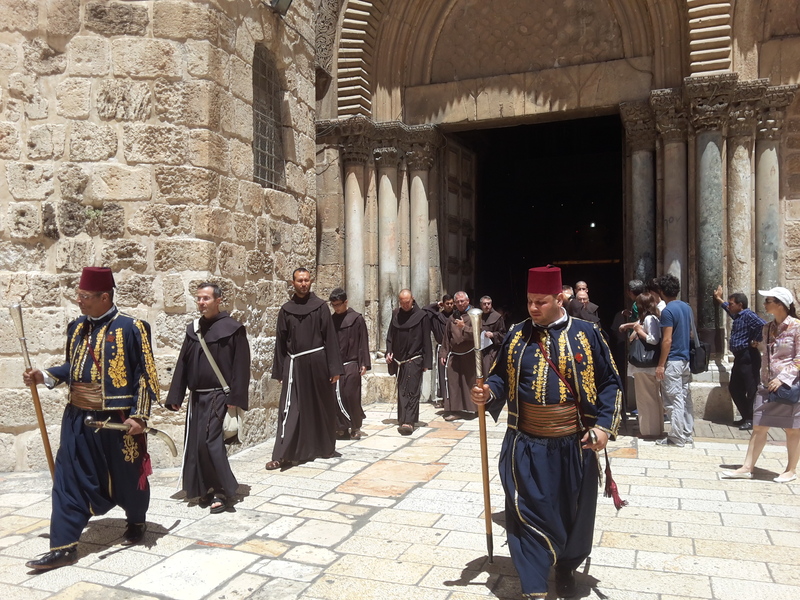 ”The Templers” were Protestant religious people who came to the Holy Land in the nineteen century with their mentor Christoph Hoffman calling for the return to the origins of Christianity and the establishment of urban and agricultural settlements in Palestine. Their involvement with the Nazism government during Hitler’s time made them the ennemy of the British in power in Palestine and after World War II, the entire Templar community with their seven settlements in Palestine was deported to Australia, never to return. They arrived in Palestine more than a decade before the first Zionist Jewish immigrants came and in many ways, they served as models. modern techniques of agricultural development in Palestine and they quickly gained a reputation for their skill and precision in the execution of various works. 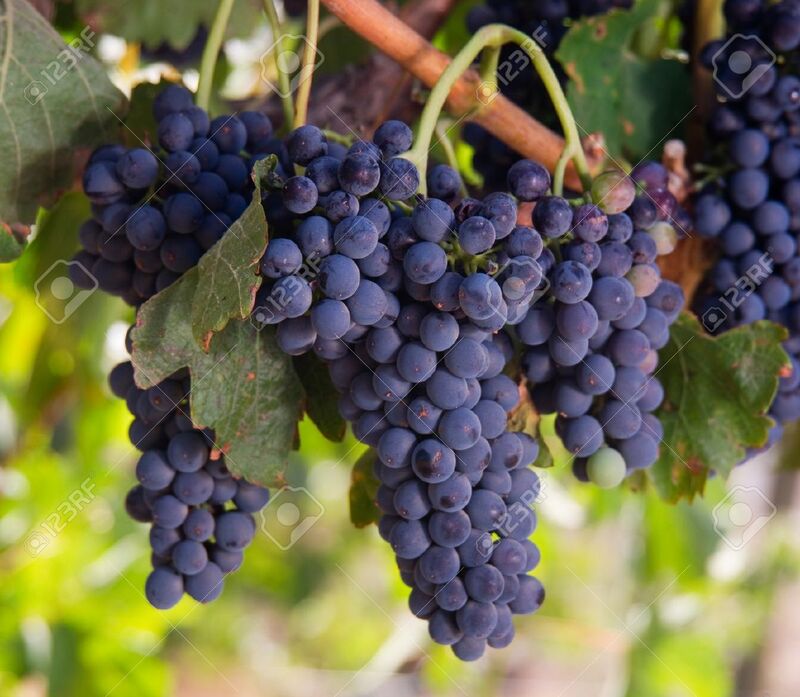 They planted vineyards and orchards using modern technology unknown in Palestine, they created the first oil mills for grain that operated with steam engine. They have tapped into the soil to find this water so rare and necessary for the survival of everyone. They opened the first European-style hotels and pharmacies, and embarked on the production of important commodities like soap and cement – or beer and wine. They were the first in the market of “Jaffa Oranges”. Their beautiful houses, of continental elegance, with their red tile roofs were surrounded by flourishing gardens. 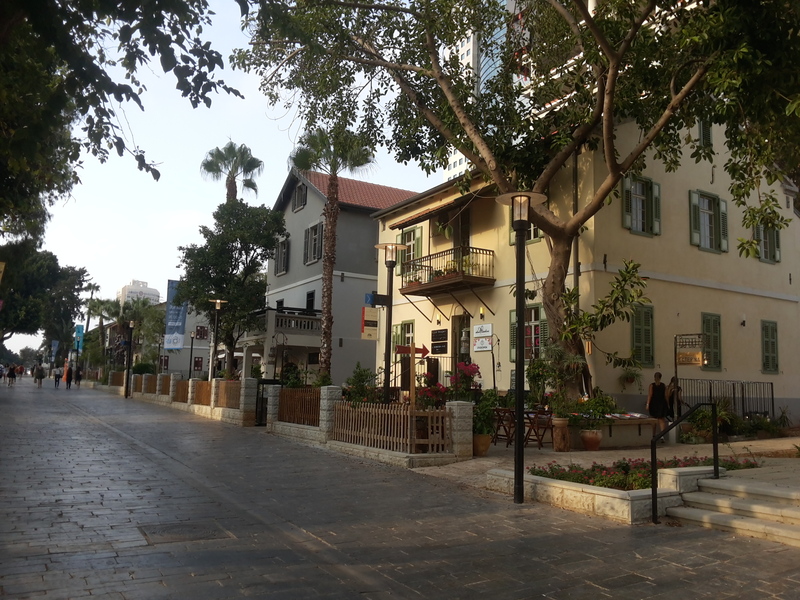 These neighborhoods have become today, after their renovations, trendy and luxurious places either in Jerusalem, Haifa, Bethlehem of Galilee, Jaffa and Tel Aviv Sarona. 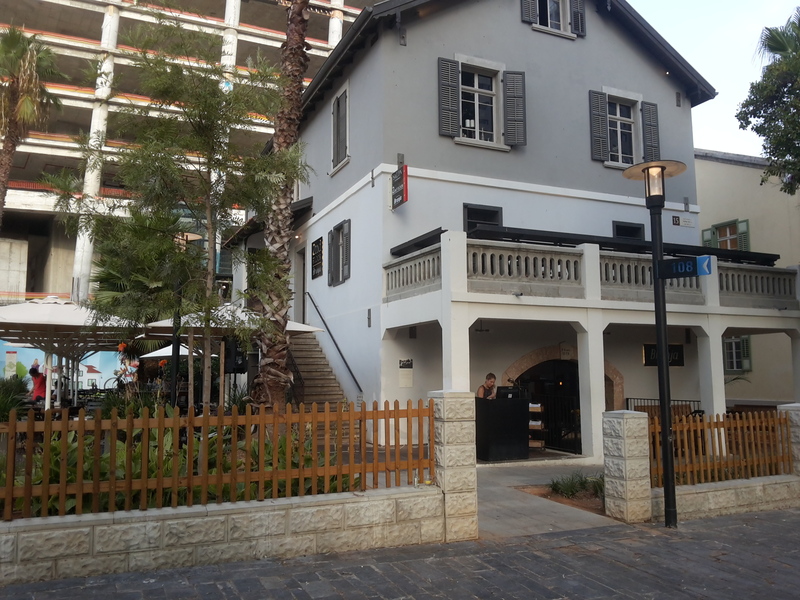 The Sarona district includes 37 Templar houses that were renovated (out of 85 at the time of the Templars) 5 of them have even been raised and displaced to expand the Kaplan street and to allow better circulation. The project, which lasted for years, finally ended and we can see now numerous high luxury buildings that are being built on the site of the houses that were destroyed together with shops and “haute cuisine” restaurants even installed in underground vaulted cellar of the agricultural cooperative used by the German Templars. 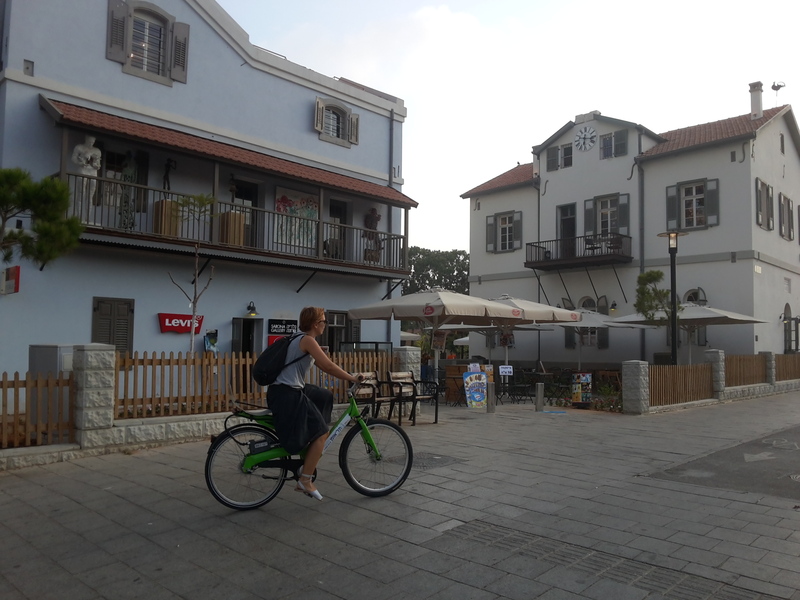 This unique neighborhood, thanks to the renovation, allow us to keep an eye on the past and I was told that the young german generation belonging to this community come sometime to visit the Holy Land and their ancestors patrimony. They are delighted to know that their heritage has been preserved and they are proud of it and so are we !…. 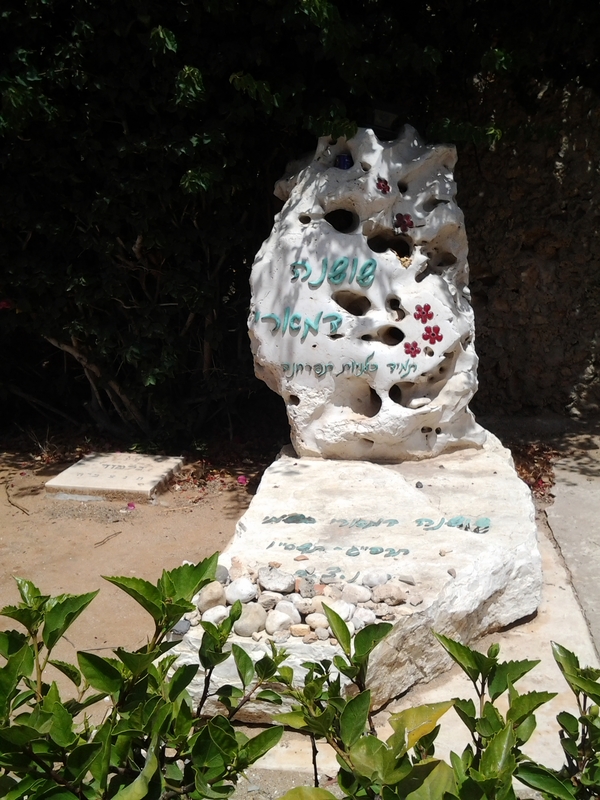 This entry was posted in British Mandate, Christoph Hoffman, German colony Jerusalem, German Templars, Haifa, Hitler, Israel, jaffa, nazism, Non classé, Protestants, religieux, Sarona Tel-aviv, Tel-aviv, World war II and tagged heritage, history, patrimony, religion, tradition on 3 August 2015 by Nicole Samuel Israel Guide. 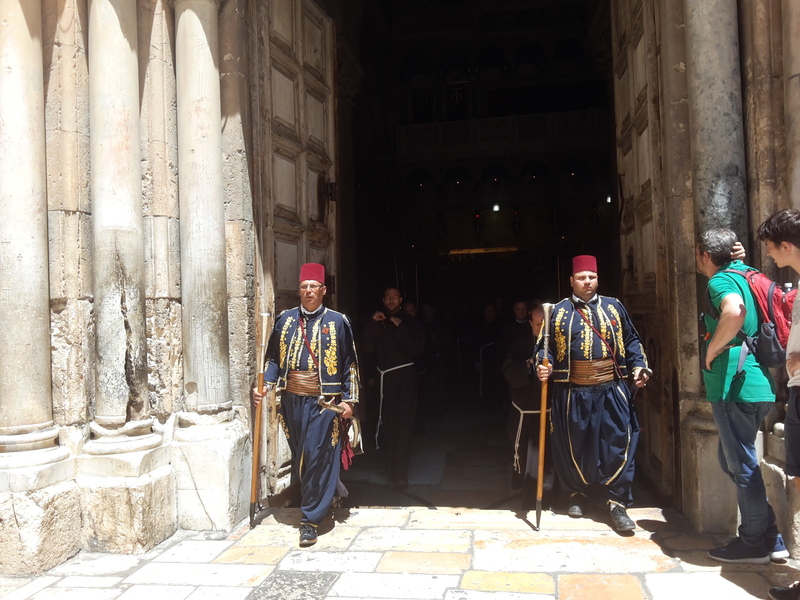 The Holy Sepulchre in Jerusalem where we attended a solemn and lyrical ceremony. 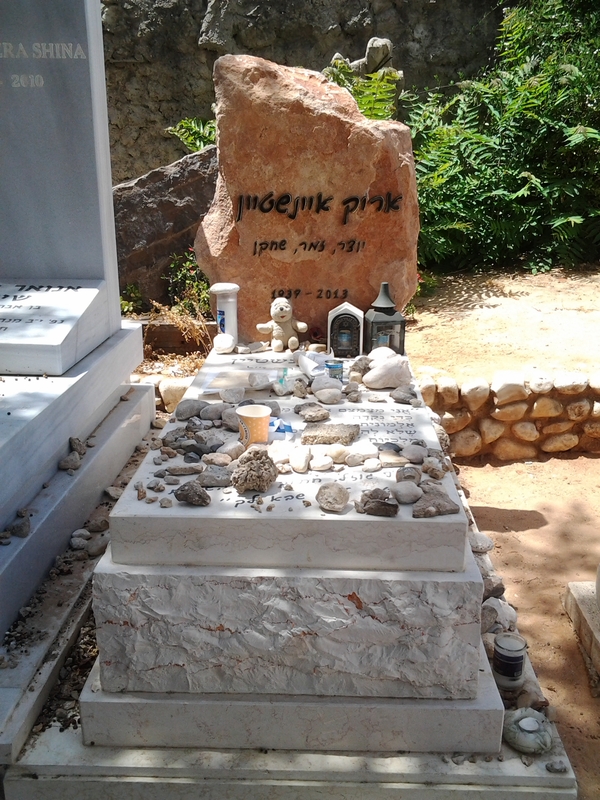 This entry was posted in Armenien, Assyrian, Calvary, Copte, Crusades, Ethiopian, Franciscan, Golgotha, Grec Orthodoxe, Holy Sepulchre, Jesus' tomb, Non classé, quarry, Queen Helene and tagged faith, religion, tradition on 12 May 2015 by Nicole Samuel Israel Guide. Passing with my group to the Western wall during Passover. 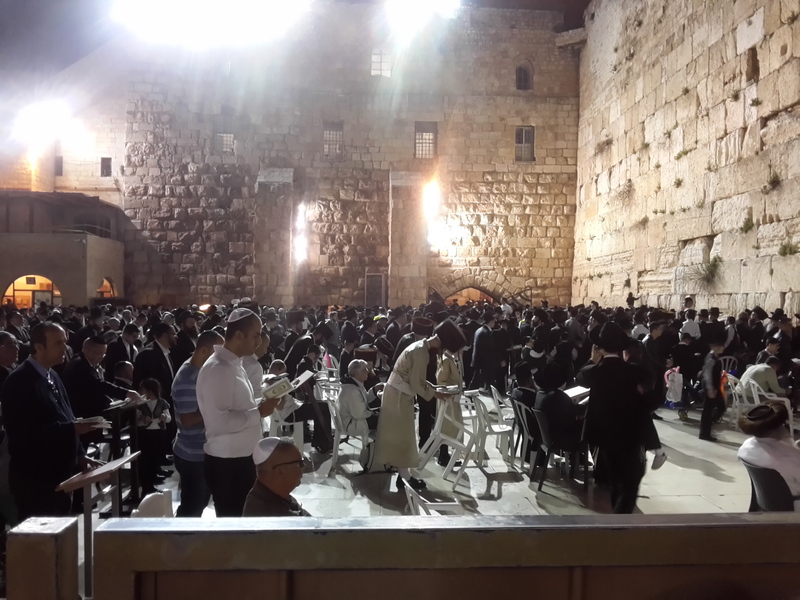 An assembly in prayer at the Western Wall. 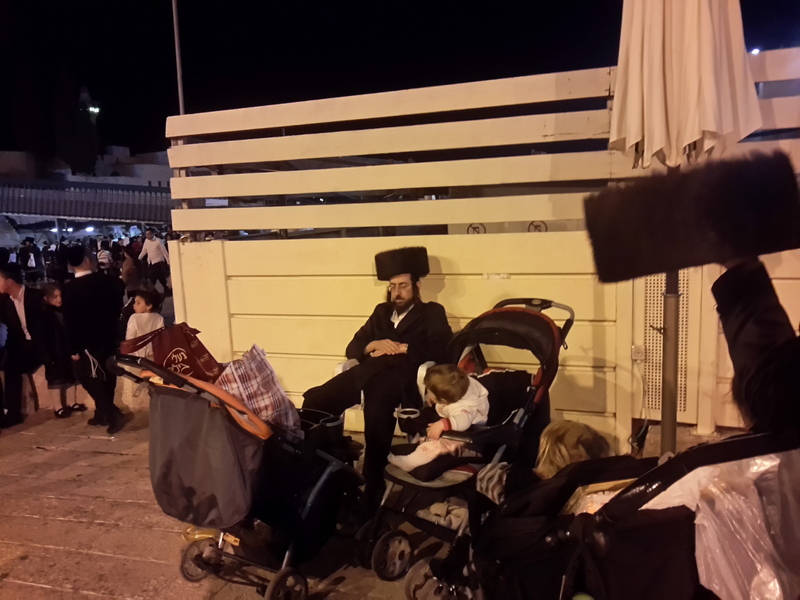 This entry was posted in birkat kohanim, Halakha, jerusalem, Non classé, priests, religion, western wall and tagged Bible, religion, tradition on 7 April 2015 by Nicole Samuel Israel Guide.